Martin called her decision to move “one of the most difficult decisions” she’s ever made,” and she has thoroughly enjoyed her time in Madison. Martin is proud of her role in the effort to create a New Badger Partnership, which she considers a good step forward. 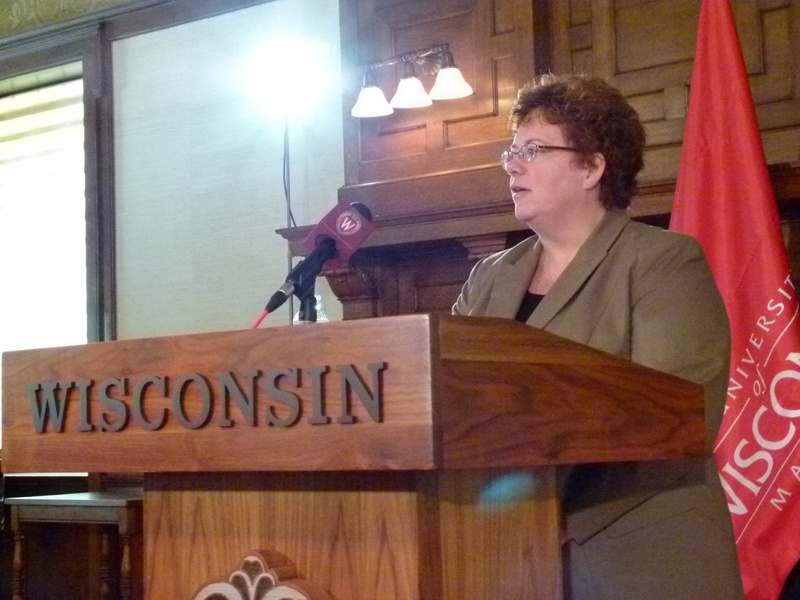 It was her idea to split Madison from the rest of the U-W System, to manage its own finances and set its own tuition. Martin adds one of her deepest regrets is that she’ll be moving away from those who are very dear to her. She says she leaves UW Madison with a heavy heart, and with a lot of excitement for the great opportunity that Amherst represents. She’ll run a much smaller campus with 1,700 students, as opposed to the 40,000 plus at Madison. Martin will become Amherst College’s 19th president in August.